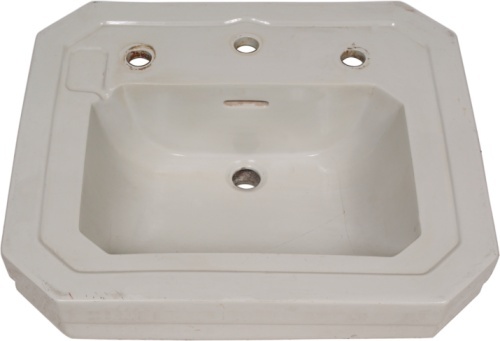 Although most bathroom sink drain holes are similar in size to coordinate with the drains and plumbing used with the sinks themselves, there is no single standard size for them. The most common size of the drainage hole in a bathroom sink is 1 1/4 inches in diameter, although you may also find some with a diameter of 1 1/2 inches or more. Bathroom sink with running faucet. The drainage hole in a bathroom sink must be at least 1 1/4 inches in diameter, according to the International Code Council. The hole must also coordinate with the typical size of a bathroom sink drain, which is 1 1/4 inches in diameter, according to the Lincoln County, Oregon, website. While this is the most common size, you might also find drains that are 1 1/2 or 1 5/8 inches in diameter, states the Bathroom Vessel Sinks website. To fit properly, the diameter of the drain must be the same size as or smaller than the diameter of the drainage hole, and the drain's flange must be wide enough to cover the hole. For this reason, you won't normally find bathroom sink drainage holes larger than 1 3/4 inches in diameter. Most municipalities follow the guidelines of the ICC and recommend a bathroom sink drain hole size of 1 1/4 inches in diameter. Some, such as Richfield, Minnesota, recommend using a drain that's 1 1/2 inches in diameter, requiring a drainage hole of at least the same size. 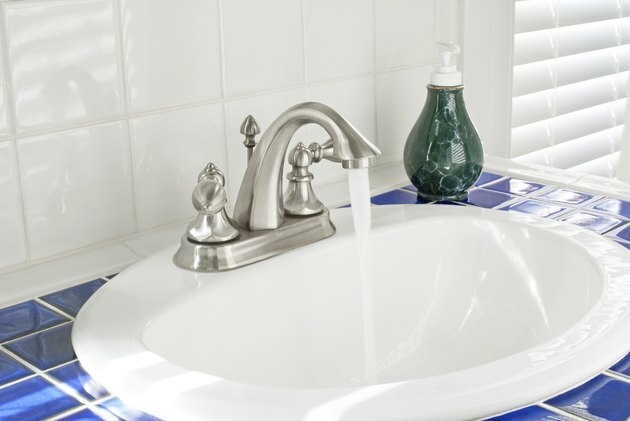 Check your local building codes regarding plumbing regulations before purchasing your sink. What are the Holes on the Side of a Sink Drain For?